The singer, guitarist, and songwriter best known for his work with Wilco opens up about his past, his songs, the music, and the people that have inspired him. Until now. In his long-awaited memoir, Jeff will tell stories about his childhood in Belleville, Illinois; the St. Louis record store, rock clubs, and live-music circuit that sparked his songwriting and performing career; and the Chicago scene that brought it all together. 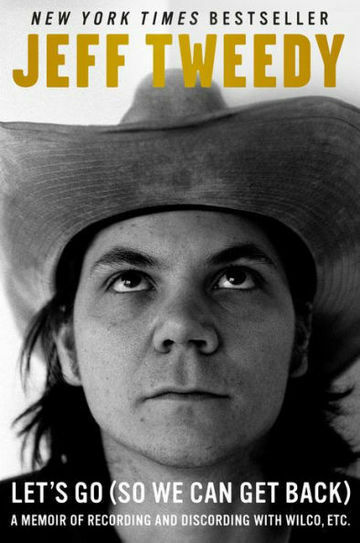 He'll also talk in-depth about his collaborators in Uncle Tupelo, Wilco, and more; and write lovingly about his parents, wife Susie, and sons, Spencer and Sammy. After losing their record label in 2002, Wilco released Yankee Hotel Foxtrot online, which ended up on a list of Rolling Stones top 500 albums of all time. But singer-songwriter Jeff Tweedy wrote in a new memoir Let's Go (So We Can Get Back), that while gaining recognition for his talents, he had to start confronting his addictions and anxieties, while shaping his path toward sobriety. NewsHour Weekends Christopher Booker reports. Wilco frontman Jeff Tweedy sits down with acclaimed author George Saunders to go deep on their process. In this expansive interview, Tweedy and Saunders cover everything from the death of loved ones, Tweedy's new memoir and transitioning from songwriting to prose. Tweedy also does a live performance of his song "Bombs Above."